We’re happy to announce the release of our WooCommerce Authorize.net SIM extension! 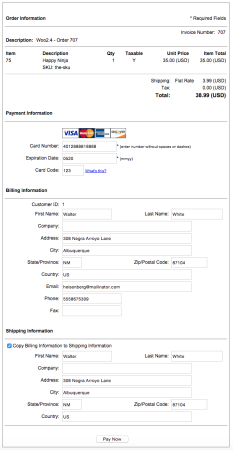 This plugin provides a new, PCI-compliant payment method via Authorize.net. 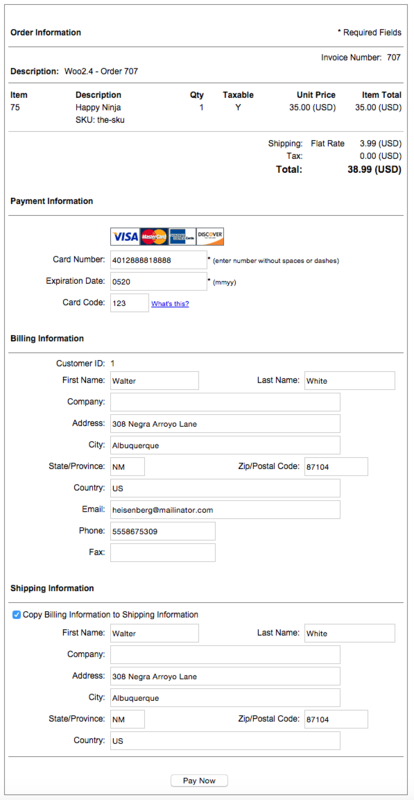 Customers are taken off-site to a hosted payment page to complete a transaction (similar to PayPal Standard). The plugin also supports eChecks, letting you securely process ACH transactions. Previously, a very old SIM / Authorize.net emulation protocol was bundled into our WooCommerce Authorize.net AIM extension. This let merchants who had Authorize.net SIM accounts run emulation transactions via this gateway. Using the hosted payment page required a complete rewrite to the way the extension processed transactions anyway. Merchants could only offer either AIM or emulation (SIM) once at a time (as you had to switch gateway modes), so having them bundled into the same plugin didn’t provide any real benefit. Some merchants use emulation for a different reason, such as running transactions through another gateway (ie eProcessing Network), so we still needed this emulation mode available. 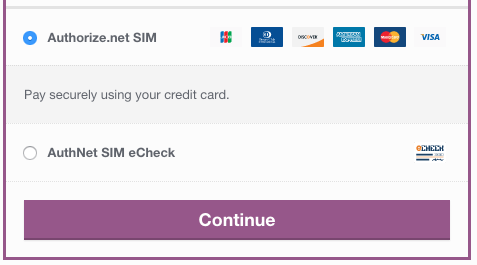 WooCommerce Authorize.net SIM now provides a stand-alone solution that works with Authorize.net’s SIM hosted payment page, making this an upgraded and far-improved integration. The ability to add eCheck support was also a result of creating a stand-alone plugin. Our AIM integration will remain available, and the emulation mode can still be used by merchants whose payment processor allows for Authorize.net emulation. This new plugin provides a better payment method for merchants specifically looking for modern SIM / hosted payment page support.